Update KB3186988 for Windows 10 Version 1511 printing issues? 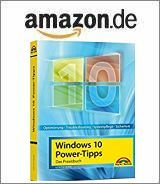 [German]Microsoft has released at August 30, 2016a cumulative update KB3186988 for Windows 10 Version 1511. I guess, it also contains the fix for the Windows printing issue, caused by MS16-089. This update is only for Windows 10 Version 1511 and will be shipped via Windows Update. After installing, Windows 10 build is changed to 10586.550. The improvement and fixes link doesn’t contains details for this update yet. But I would say, the update will fix the Windows 10 printing issue caused by MS16-089, because a fix was vaguely announced at end of August 2016 or on September patch day. Fixes for Windows 10 RTM and Windows 7/8.1 has been released already. Addendum: It seems that Woody Leonhard has the same thoughts. Update: It fixes the printing issue as Microsoft wrote in KB3186988 (Cumulative Update for Windows 10 Version 1511: August 30, 2016). This entry was posted in Update, Windows and tagged printing issue, Update KB 3186988, Windows 10. Bookmark the permalink.